I’m a long-time Stereophile subscriber, but there are times when I feel like an even poorer relation than usual, while reading the monthly exploits of Messrs. Fremer, Dudley and Reichert. 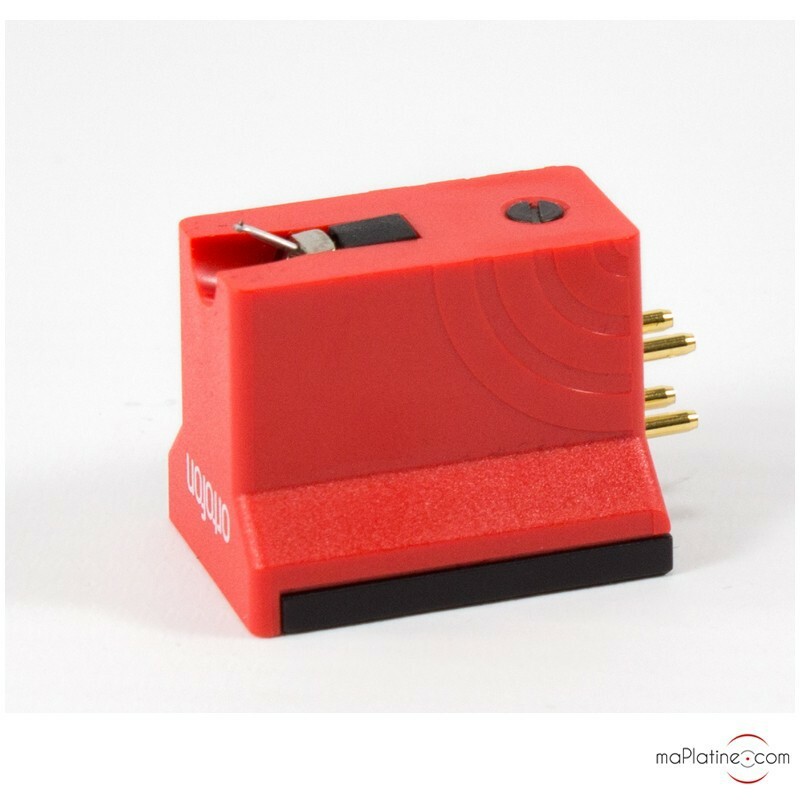 In the April 2018 issue, the analogue trio reviewed moving coil cartridges costing from US $999 to $16,000. That’s about Canadian $1,300 to $20,650, give or take. Though in fairness, Art Dudley did mention the stock Denon DL-103, priced at US $299. Does this mean that when Michael Fremer plays a record with the CDN $20K+ Techdas TDC01 T1, he enjoys it 20 times more than you or I would if we listen using the approximately CDN $1,000 Ortofon Quintet Bronze tested here? The perspective I like to put on this is, for me, close to home. Imagine a sunny July day on Georgian Bay. For those not familiar with Georgian Bay it’s boating paradise, for about four to five months of the year. Is a beautiful day three times better for the fellow in a 60-foot yacht than it is for the guy in a well-used-but-serviceable 20-footer? I think not. And a lovely tune is still a lovely tune played with a cartridge that doesn’t cost 20 grand. 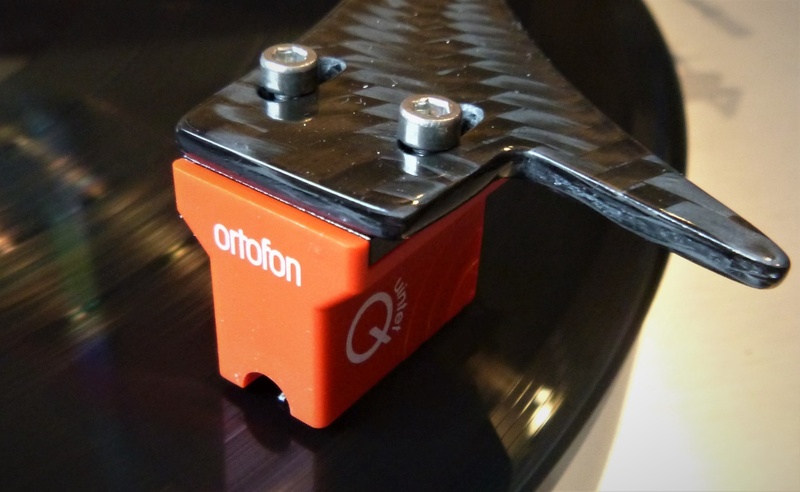 At any rate, while listening to the Funk Firm Flamenca and Pro-Ject “The Classic” SB Super Pack a while back with their Ortofon cartridges, the 2M Bronze and Quintet Red respectively, I thought that the best sound would be a combination of those two cartridges’ virtues (review link). At the time, I speculated that an upgrade to the Pro-Ject could be beneficial. Being the somewhat OCD type that I am, an Ortofon Quintet Bronze was ordered, purchased and installed. Here I will try to convey the differences between the Q Bronze and the Q Red. 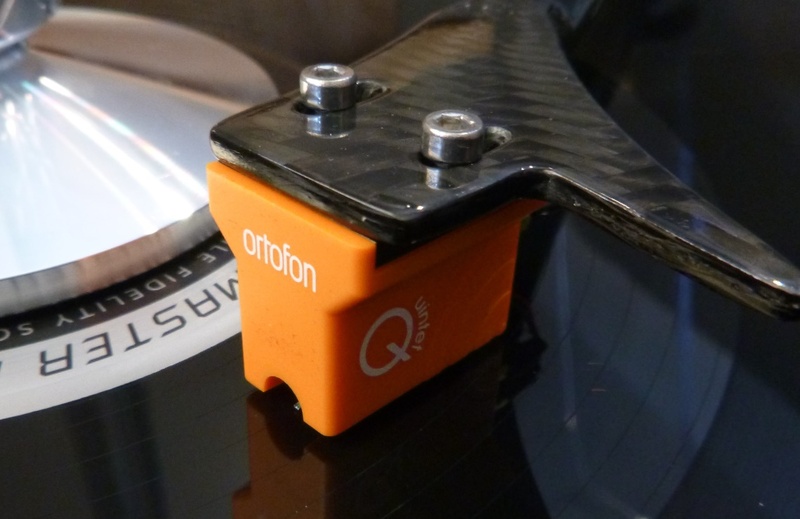 There’s no point in me parroting the Ortofon website, you may look up the specs if you wish. Suffice to say that the Bronze tracks better, has closer channel balance, with flatter and more extended frequency response etc. The most noticeable difference is the Bronze’s moderately lower voltage output. 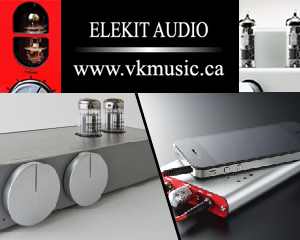 Consequently, a bit more twist of the volume knob is needed for the same playback level. Listening was done on my usual system, consisting of a PS Audio AC regenerator, ARC Reference 110 power amp, ARC Reference 3 Line Stage, Aikido phono preamp, RJM Audio VSPS400 phono preamp, K&K Audio Premium SUT and PSB Platinum T8 speakers all connected with basic Cardas and Kimber Kabling. The K&K Premium has two step-up ratios that offers gains of 8x or 16x. I’ve been fooling around with the two gain settings since my review of the K&K, and have discovered a subtle but interesting difference between the two, other than just gain. I’d been using the 8x (18db gain) and had loaded the Q Red down to about 90 ohms, using resistors connected to the SUT secondary. I switched the K&K over to 16x (24db gain) and removed the resistors. The natural (no auxiliary resistor) loading in the 16x position is 160 ohms. Using a lighter loading (higher resistance) typically makes the cartridge sound “lightweight” and loading it down too much can make it sound dull, according to K&K Audio. I’ve found this to be true with the Q Red, too high and the bass was a bit loose, too low and the high frequencies suffered. But here’s the interesting bit: when I switch to 16x with an effective loading of 160 ohms the bass tightened up a small but noticeable amount compared to 8x loaded at 90 ohms. Just the opposite of what I had expected. It pays to experiment. This is not to say that if gain is selectable the highest is the best. There are at least two other considerations. The most important being potential overload of the phono stage following the SUT, and secondarily, the lack of volume control adjustment range on the preamp or line stage. To check that I wouldn’t overload the phono stage I played a 45 RPM EP that was cut at a very high level. My ARC Ref.3 line stage has fairly low gain so I still had lots of volume control range. 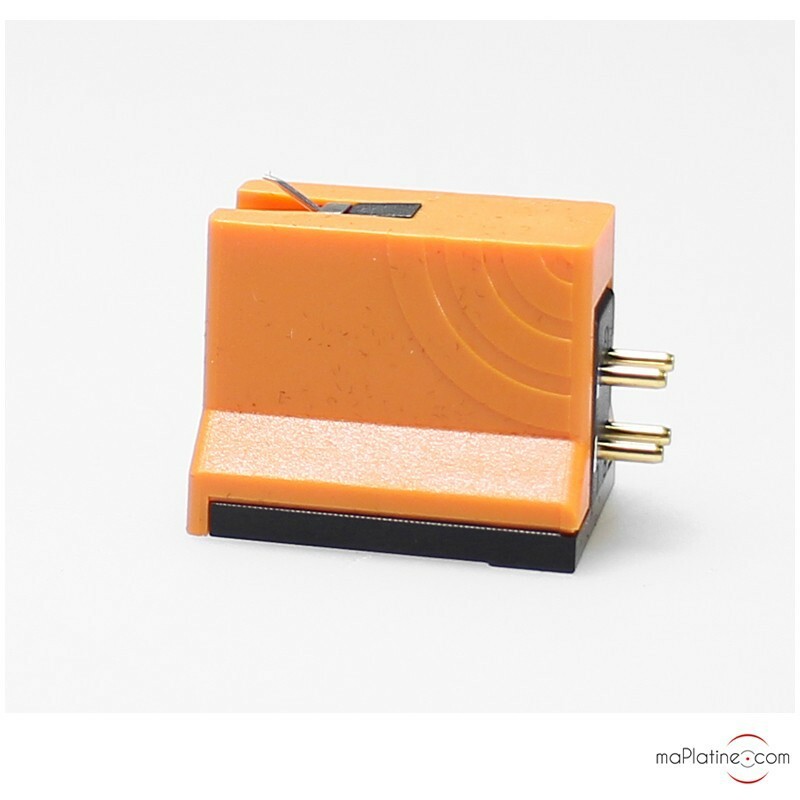 To recap from my turntable review (link above), the moving-magnet 2M Bronze with its Fine Line stylus was the better at retrieving high frequency detail than the moving-coil Quintet Red with its elliptical stylus. Not that the Q Red was distorted or tracked poorly, but the 2M Bronze was airier. Stringed instruments, both acoustic and electric, were a bit clearer and more detailed. The 2M also had better bass control and clarity. The Quintet Red had better bass extension, though definition in that part of the spectrum was not as good. Two of the most striking differences between the two was the Quintet Red’s ability to flesh out low level detail, and its transient speed, especially with well recorded acoustic instruments. Piano and wind instruments especially seemed to start and stop more suddenly when called for. The Quintet Red, at least in my Pro-Ject ‘table, has a slight but noticeable mid bass bump, that was a bit seductive at first. However, on my system, which has nearly full bass extension, that bump and the slight loss of bass precision can be a little bit tiring after a while, most noticeably with music containing electric bass guitar, and to a lesser extent, acoustic bass. The Quintet Bronze is much more linear in the bass, with no obvious hump, and better control. Through the midrange, the Red and Bronze sound more alike than different. In the highs, the Q Bronze has the Q Red beat, hands down. One track I like to use for assessing high frequency performance is Blue In Green, from the Miles Davis masterpiece Kind of Blue. The right channel has some very quiet percussion that on lesser cartridges, the Q Red included, sounds more like white noise or tape hiss. The Q Bronze makes it obvious that it is indeed Jimmy Cobb’s percussion work. Both Q’s have the speed that I noted when comparing the Q Red to the 2M Bronze in my double TT review. To me this speed seems a property unique to low output moving coil carts, at least in the price pool I swim in. The Quintet Bronze is even better in this regard than the Q Red due, I believe, to the Q Bronze’s more linear and better controlled bass. This speed, which is what I think some audio writers refer to as “touch”, gives music greater impact and immediacy, that is at times startling yet very engaging. Regardless of price, there’s no best cartridge, or any other component for that matter. The best is the one that you like the best and gives you the best connection to your favourite music. Does $1,000 Canadian sound like a lot for a cartridge? Compared to the prices of some carts that other audio writers get to test, it’s on the low end. That doesn’t help if $1,000 is outside of your budget. But I’d bet my own money that a $500 cartridge and a $1,000 interconnect cable upgrade wouldn’t sound as good as a $1,000 cartridge and a $500 interconnect. Or maybe even a $200 interconnect. So, what to do if the detail of the of Q Bronze is something you want but the price of admission is too high? The 2M Bronze maybe? The 2M doesn’t have quite the jump and startle of either of the Q’s, but at about 60% of the cost of a Q Bronze, it’s a viable alternative. I liked the Pro-Ject “The Classic” SB Super Pack enough that I decided to buy it. But after listening to it and the Funk Flamenca at length, I felt that perhaps the Pro-Ject didn’t challenge the rest of my system sufficiently. The substitution of the Quintet Bronze, in place the Red, has dispelled those doubts. I’m happy. At least for now. The dealer I purchased the Quintet Bronze from doesn’t normally stock this model but because he ordered it for sale, not to sit in his stock, he offered a discount. I paid less than $800 CDN, plus tax.